Long before the first traveler came to the North American continent, blueberry bushes were here. Native Americans harvested blueberries, which they called star fruit after the blossom-end scar left behind on the berry. Blueberries were such an important staple part of their diet that the harvest of ripe blueberries controlled the seasonal migration of Native American tribes. These early bushes bore little resemblance in size to today’s hybrid bushes. When the first settlers arrived in North America, Native Americans taught them where to find blueberries and how to preserve them for the coming winter. A cousin to the North American Blueberry, the bilberry, was known to the Europeans. But these European varieties were extremely variable in size, and flavor, and bore little resemblance to the North American blueberry. According to the US Highbush Blueberry Council, there are more than 450 species of blueberry plant growing around the world. Each plant has different characteristics, including height. A variety of blueberry bush even thrives near the Arctic Circle. This type of bush is known as a lowbush blueberry. 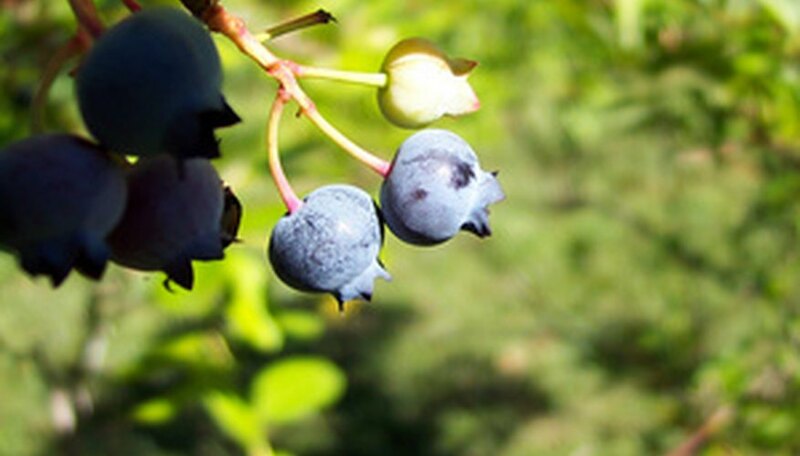 The lowbush blueberries are adapted to their climate and grow much shorter than highbush blueberries that are commercially grown in many parts of North America. In addition, some dwarf varieties of blueberry bush are cultivated as landscaping shrubs rather than commercial berry producers. Their size makes them a unique plant for the lawn. Although highbush is the preferred shrub for blueberry production, rabiteye is another popular shrub for commercial blueberry cultivation. Highbush blueberry shrubs are typically pruned to 7 feet tall, while rabiteye is pruned to be 9 feet tall. Most blueberry growers prune their bushes to keep them at a manageable size. Pruning a blueberry bush will result in fewer berries the following year. But because the energy of the blueberry bush is going into production of these berries instead of more berries and shrub height, these berries will be larger and more flavorful. Before choosing a variety of blueberry bush to plant, carefully consider your resources as well as available space. Smaller blueberry bushes will require fewer nutrients and water than larger varieties. Water is especially important to blueberry bushes during the long fruit ripening period. Fruits that do not receive adequate water will fail to produce abundant berries. According to the University of Ohio, although blueberry bushes vary in height, they all have a similar structure. Prune all blueberries using similar methods. Young blueberry bushes do not need as much pruning as older, mature blueberry bushes. Canes that are more than 10 years old should be removed because they have lost their ability to be fruitful and produce well. Never remove more than two to three older canes yearly. New canes will spring up each year.